Ideal for general storage or separating waste items for recycling. Overall H x W x D (ex. lid): 335 x 430 x 640mm. Storing items is necessary for many workplaces, keeping them organised for easy access when needed. 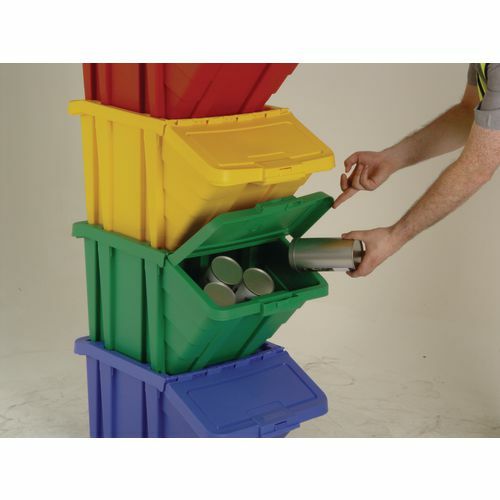 Our large storage bins with hinged lids offer an excellent way to store items. They are ideal for general storage or for separating waste items for recycling. A great feature of these bins is that they both stack and nest, minimising the amount of space the bins take up in the workplace. They have a polypropylene construction, which makes them durable and long lasting. 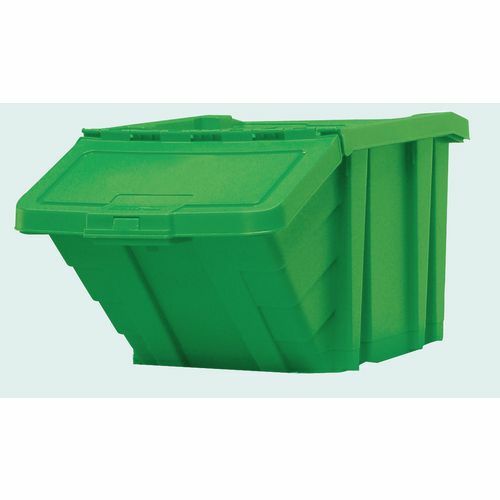 These bins are supplied with an articulated lid providing an easy way to deposit or remove items from the box. 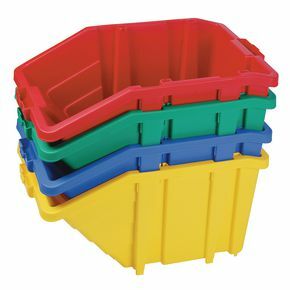 The overall dimensions (excluding the lid) are H x W x D: 335 x 430 x 640mm and they come in a choice of four colours; blue, green, red or yellow. Our large storage bins with hinged lids are ideal for storing items in the workplace or for separating waste items for recycling.